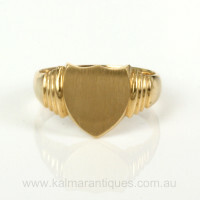 Product code: ES3055 Categories: Antique, Antique Signet Rings. 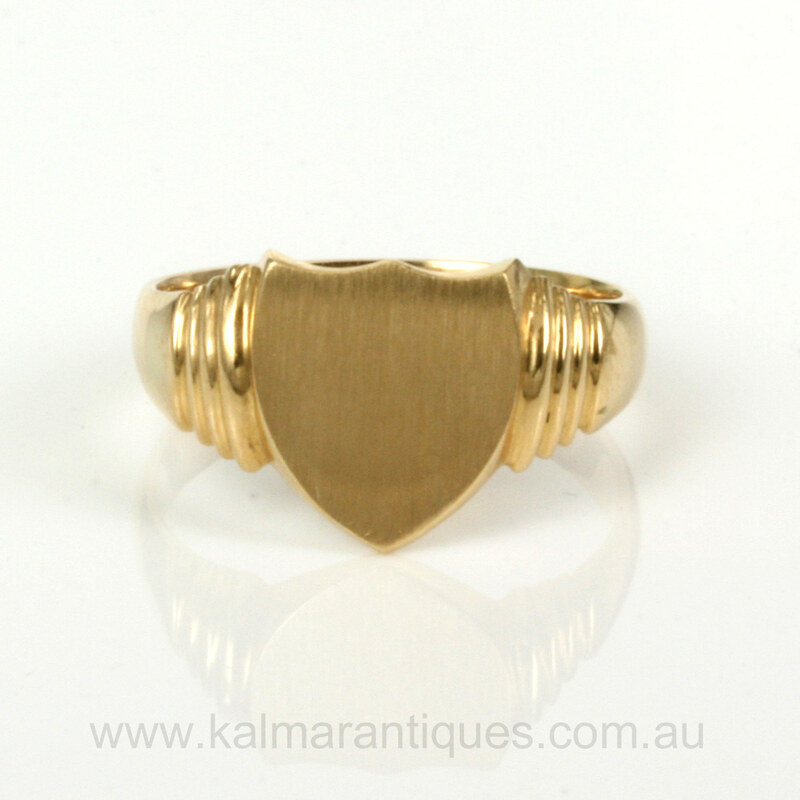 An antique signet ring feels and looks so good on the ring, and here is a very elegant antique signet ring that was made in 18ct yellow gold. Made in 1911, the design of this signet is so attractive with the shield design and detailing on each side. This signet ring looks good as it is, or there is enough thickness in the top to engrave initials to personalise this signet ring and make it even more special. The shield design itself measures 11.8mm across by 12.5mm and sits so well on the finger thanks to its low profile and is very easy to wear all the time. Antique signet rings are always popular and this one in 18ct gold from 1911 is just perfect especially for that hard-to-buy for man!